Addis Ababa, April 9, 2011 (Ezega.com) – High level consultation on youth development issues and funding was held here on the first two days of April followed by a Pre-summit African Youth Forum April 4-6, 2011. An Extraordinary session of the Bureau of the Conference of the Ministers of Youth (COMY III) was held on 8th to 9th April. This pre-summit series of meetings were held in preparation for the June-July 2011 summit to be held in Malabo, Equatorial Guinea. Organized by the Human Resources, Science and Technology commission of the African Union, the forum was held under the same theme as the July summit: ‘Accelerating Youth Empowerment for Sustainable Development’. At the opening of the forum, the need for the full involvement of the youth in Africa in the development process was highlighted by Jean-Pierre Ezin, AUC Commissioner for Human Resources, Science and Technology (HRST). A pan African Youth Union representative also noted that the UN system has launched a number of initiatives and programmesin support of African Development. The rationale for the forum was that the African Union Commission considers African youth as a special resource that requires special attention not only because of demographic issues, but also the inherent energy that it possesses. The Forum is intended to strengthen Africa’s participation and engagement in the International Year of Youth with a view to ensuring that their concerns and priorities are adequately reflected. The primary objectives of the Forum are to raise awareness and call for effective commitment and actions on the part of all stakeholders and partners at all levels, to effectively include youth concerns into development policies, programs, strategies and practices in Africa. More specifically, the objectives of the forum are,demonstrating compelling evidence of youth empowerment for sustainable development; deliberating on how the youthfulness of the African population could be both an asset and an opportunity; deliberating on challenges that the youth face in general and propose key recommendations for consideration by Heads of State and Government; promoting sharing of experiences, good practices and lessons learned in mainstreaming youth development into sustainable development agendas; showcasing the significant innovative advancement of African youth, including the Diaspora in their research and scientific activities and achievements and contributions towards sustainable development and many other related objectives. Sub-themes of the forum were youth empowerment and socio-political stability; youth empowerment and socio-economic stability; youth empowerment and social and individual welfare; and youth empowerment and sustainable development. Expected outcomes of the forum were youth empowerment and development programs prioritized and implemented successfully at national and regional levels; enhancing knowledge of African youth in mainstreaming youth concerns in to development policies and practices; strengthening capacity of African youth to address their own development; challenges and leverage opportunities presented; support for the implementation of the African Youth Charter and strategic alliances and partnerships on the Plan of Action. The pre-summit youth consultation is designed to come up with list of recommendations to present to the Malabo summit. Some 300 young boys and girls from the five geographical regions of Africa and the Diaspora participated in the forum where they debated and recommended issues for discussion at the heads of state meeting in July. Nonetheless, participation in this particular forum by three hounded young participants, representing the 53 African Union member states through their respective youth federation representatives and Members of Parliaments. But the participation of the civil society organizations was remarkably low, if not non-existent. In the five days of the forum, most of the panelist and presenters spoke on behalf of United Nations agencies such as UN women, the UNEP or UNICEF as well as other International foundations. This criticism is founded on the argument that, as the forum is designed for the participation and consultation of Africa’s young people, more time and resources should have been devoted to home grown initiatives. Although funding is an ongoing concern, we still need to find other methods of getting young Africans to participate in this type of forum and ensuring that their voices are heard loudly and clearly. After this forum, its various meetings and consultations, many questions still remain unanswered: what is a youth issue? Is it not the same as any other societal issue? What is so different from any other group in the wider community? Is youth not part of society? While these and other related questions were not answered adequately in the forum, many presentations were made about entrepreneurship and innovation, leadership and other topics that did not come close to addressing the real issues. One of the notable recommendations that came out of the forum was the reaffirmation of the commitment by Africa’s youth for the effective implementation of the African Youth Charter, the International Year of Youth and the decade of Youth Development and its accompanying Plan of Action. As the July summit on youth is approaching and has only eleven weeks to go, it is every young African’s hope that the recently held forum will actually influence the decisions of heads of state in Malabo in July and not end up being just another forum. 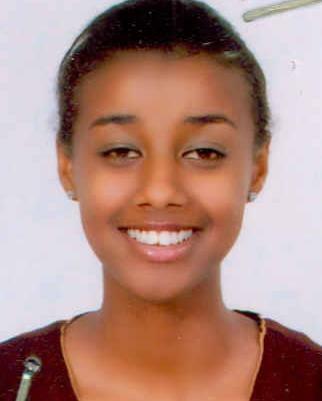 Eden Yohannes is Addis Ababa based reporter for Ezega.com. She can be reached by sending email through this form. UN-HABITAT invites young artists, young urban planners, designers and other creative young people from around the world to show case their skills in an Urban Arts and Design Competition. Under the theme “My Vision of an Ideal City”, the competition will showcase the diversity of future cities as envisioned by young people in the form of visual designs, imagery and artwork. This competition is an acknowledgment and celebration of young people’s contribution to visual arts in sustainable urban development. The aim is to capture young people’s contributions in terms of youth empowerment, employment, safety, sports, culture, social services, infrastructure and housing. Four winners will be awarded a cash prize of USD 500 and their work will be shown in an online exhibition on the UN-HABITAT website, the Urban Gateway and the Global Youth Helpdesk for at least one month. The Competition is open to young people aged 15-34 years and will close on 28th June 2011. As a leader in sustainable urban development, UN-HABITAT recognizes that urban young people face enormous challenges, but also have creativity, enthusiasm and vast skills that are crucial for promoting socially and environmentally sustainable towns and cities. Without inclusion of young people, efforts in creating livable cities will not be fully complete. To support and engage urban youth, UN-HABITAT implements a number of programmes. Some of these programmes are the Messengers of Truth programme, the Youth Envoy Initiative, the One Stop and We are the Future Centers, and the Opportunities Fund for Youth led development. This fund promotes the poverty reduction aims of Millennium Development Goals and theHabitat Agenda for better, more sustainable and equitable towns and cities throughout the developing world. It provides grants of up to $25,000 for new ideas and solutions for job creation, good governance, adequate shelter and secure tenure. Globally, 85 percent of the world’s young people live in developing countries. An increasing number of these young people are growing up in cities. In many cities on the African continent, more than 70 per cent of inhabitants are under the age of 30. Young people, especially girls and women, are the most vulnerable to social problems caused by unemployment and poverty. With more than 200 million youth living in poverty globally, there is a clear need to meaningfully engage and support youth. UN-HABITAT, which regards youth as a major force for a better world, supports young people in the drive to alleviate poverty. The Habitat Agenda commits governments and UN-HABITAT to work in partnership with youth and empower them to participate in decision-making in order to improve urban livelihoods and develop sustainable human settlements. Mobilise young people for better youth-related policy formulation. Help governments, non-governmental, civil society and private-sector organizations better understand and respond to youth concerns. Promote gender mainstreaming in all urban youth matters. The Opportunities Fund for Urban Youth-Led Development , as it is officially called, was launched on 4 November 2008 at the fourth session of the World Urban Youth Forum in Nanjing, China. The application is ONLY available online in the following languages; English, French and Spanish. The application must be made in the same language as the one selected, and must be completed in full. The system will not allow you to submit the application unless all fields are completed and all compulsory attachments are submitted. Applications submitted in hardcopy or by e-mail will NOT be accepted. Please make sure that you finish the application and submit all compulsory attachments in the system before the deadline. The deadline is final and not up for discussion. What is UN Habitat Youth Fund? The Youth Fund is a program of the United Nation Human Settlements Program (UN-HABITAT) to support urban youth in developing countries with the aim of advancing the achievement of the Millennium Development Goals and the Habitat Agenda. Every year thousands of projects are submitted by youth organisations in the developing world seeking support from the Fund. Young men and women aged between 18 and 32 years may apply for the Fund through legally registered, youth-led non-profit, non-government organisations (NGOs). Projects must be implemented within a city or town with more than 10,000 inhabitants. How do I know whether the place I am planning to do my project is a city or town? For the Urban Youth Fund, a town is defined as having at least 10,000 people. Cities are bigger than towns. You may also want to use Google or other search engines to check the population of your city or town. The information may also be available with your local administration. Organisations must have been legally registered for at least one year in one of the following regions: Africa; Latin America and the Caribbean; Asia (excluding Japan); Oceania (excluding Australia and New Zealand). They must be non-profit, non-government (NGOs or CBOs) although UN organisations, government organisations and private enterprises may engage in partnership with youth –led organisations. They must have a valid bank account. The y must involve girls and young women at all levels of decision-making. A Non-governmental Organization (NGO) is a legally constituted organization that operates independently from any government . The term is usually applied only to organizations that pursue some wider social aim. Community organizations (sometimes known as community-based organizations) are civil society non-profits that operate within a single local community. Like other nonprofits they are often run on a voluntary basis and are self-funding. Can an organisation registered for less than a year apply? Organizations without a valid registration certificate, or registered for less than a year, without a valid bank account can apply in partnership with another facilitating organization. The facilitating organization will enter into a grant agreement with UN-HABITAT and receive the money on behalf of your organization. It will also be responsible for managing funds and project reporting. What organisations are not eligible? Organizations that carry out religious evangelization and organisations affiliated with political parties are not eligible. Youth-led Development involves young people actively creating a better future for themselves and their communities, usually based at the grassroots level and are largely carried out by youth volunteers. Initiatives address a broad range of community needs such as employment, access to affordable housing and secure land tenure, safer cities and participation in decision-making. The objective of the project is also to develop valuable skills of management, teamwork etc among young people and boost their ability to acquire jobs and participate actively in society. Is it compulsory for my organization to involve girls and young women? Yes! The Youth Fund aims for gender equality and applicant organizations should therefore engage both female and male youth equally in the implementation of the project and among the beneficiaries. Can we apply for a project in a city different from the location of our organization? UN-HABITAT prefers that applicant organizations submit proposals for projects that take place in their own communities. What is the amount of the grants? Youth-led projects may receive grants of up to US$ 25,000. Nothing! The Opportunities Fund will not require you to pay any fee during the entire process of your application. No! Organizations can submit only one application for each annual deadline. Organisations may however, apply for the Fund more than once in different application rounds. The results will be announced on the Youth Fund website: http://www.unhabitat.org/youthfund on 12 August 2011. Successful applicants will be individually notified by e-mail. How do I apply for a Fund grant? The application form is available online at http://www.unhabitatyouthfund.org. To access it, you have first to register on home page. Type your organisation’s name, select the region in which your project is located by choosing from the dropdown list. Select country from the drop down list under ‘select your country’. Select the language in which you will fill in the application from the drop down list under ‘Select your language’. Provide a valid e-mail id. Note that this is the email address that will be used for all further correspondence. Choose and type a password that you will use all through the application process. Write down your password so that you do not forget it. Click to submit. An email message will be sent to the email address that you have provided. Follow the instructions in the email. You can access the application form by logging in with your e-mail id and password. What if I do not receive an email message? If you don’t get a message in your mailbox please check your Spam/Trash mail folder. If there is no message here please contact the support@unhabitatyouthfund.org. Can I change my email address after I have registered? No. Changing the email address is like changing your identity. You may not change the email address after you have registered. Log in means that you have entered the Youth Fund System by inserting your registered user name and password. By logging in you have access to your application form. Once you have registered, you may change your password at any time. To ensure the security of the information that you have provided us, you must log out when you have finished using the website. When you log out you will be taken to the Home Page. Application Form is the set of forms that you have to fill in to apply for the Youth Fund. The application form is under parts A, B, C, D, E and F. Clicking on ‘Application Form’ will take you to the first or any other section you want to fill in. Can I download the application form and submit it by mail or attach it in an email? A cover letter is a letter of introduction attached to, or accompanying another document such as a résumé or curriculum vitae. This is the certificate issued by the relevant authority when your organisation was registered with that authority. The certificate should be a true copy. Please include the following text at bottom of your organization’s registration certificate before uploading.“I [name of signatory, title of signatory and name of the organisation] the undersigned, do hereby certify that this is a true and complete copy of the original and valid [type of registration/certificate] filed with [name and address of issuing authority] on [date and year].” Date: [date] Signature: [signature] Registration certificate without this disclaimer note will be considered invalid. Can the registration certificates be submitted in the local languages? Yes, the registration certificates can be uploaded in the local languages. This is a short and accurate description of your organisation and its work. What is logical frame work? The Logical Framework is a widely used tool to describe major elements of a project. It should provide an overview of the project’s goal, outcomes and key activities, the outputs of each activity, the timeframe for completing each activity and potential problems that must be overcome for each activity to be completed within the timeframe. What is CV (Curriculum Vitae)? A curriculum vita is a written description of your age, work experience, educational background, and skills. Will my application be disqualified if I forget to attach a supporting document? Yes! UN-HABITAT requires applicants to submit all supporting documents together with the application. This refers to the language in which you want to read and fill the application. Click on the drop down button on ‘Display Language’. Click on the language you want to use in filling the application form. The online application form is available in English, French and Spanish. The application must be made in the same language as the one selected. An acronym is a word formed from the initial letters of a name, such as UN for United Nations, or by combining initial letters or parts of a series of words . Another example would be WHO for World Health Organisation. Board members are members of board of directors of your organisation who are involved in the decision making of the organization. A signatory is a person who signs documents in an organization. He/she can represent your organization. Please include the title of the signatory person (i.e. coordinator, board manager, etc.). What is valid bank account? It is the bank account number of your organisation that is in use and valid. Please ensure that the number is accurate and in full. SWIFT code is a standard format of Bank Identifier Codes (BIC) and it is unique identification code for a particular bank. These codes are used when transferring money and messages between banks and are necessary for transferring money to your account if your project is selected for the grant. What happens once your application is submitted? All applications for the Urban Youth Fund received by UN-HABITAT will undergo the same selection procedure. Applications submitted to the Youth Fund are subjected to a thorough evaluation process to guarantee impartiality and equal treatment of applicants. Will granted projects be visited to check on the progress of the project? Yes! We will visit all granted projects in order to monitor the progress of granted projects and check how activities are implemented and money is spent. Thanks for taking your time to search for African Youth opportunities on blog. Hope you had a great time researching. Kindly let me know how I may assist you and all the best! Personal Democracy Forum is a month away, and as a member of the Idealist community, you qualify for a $100 discount off the registration cost. ics and government.” It takes place June 6-7 in New York City. leaders, volunteers, and followers interact; and how these players are learning from and adapting to the new environment they are themselves helping create and shape. Learn more and register at www.Personaldemocracy.com/Conference. And how do I snag that discount? Simply enter the code IDEALIST2011 when you register, and you’ll be charged $100 less than the stated price. Submit your idea. Create more jobs. Win $50,000. Right now, over 200 million people are without a viable way to make a living, and millions more are in less-than-desirable working conditions around the globe. Yet it’s not hopeless. With so many brilliant entrepreneurial minds out there, Ashoka’s Changemakers and the eBay Foundation believe solutions are possible. ThePowering Economic Opportunity: Creating a World that Works competition is open to individuals, organizations and collaborations who think they have what it takes to create sustainable employment opportunities in vulnerable communities around the world. Anyone can submit their idea in English, French, Spanish, or Portuguese. Five winners will each receive US $50,000. The deadline to submit is June 15. Stand-out entries will be those that have shown impact, are ready to be replicated elsewhere, and play nicely with others to expand their reach. The creativity is astounding so far. There’s everything from a historic center in Cuba to a farming magazine in Tanzania to a women’s swimming project in Sri Lanka. So, entrepreneurs: get to it. Employ your imagination, and be a part of helping to bring the jobless millions down to zero. Coming up blank? Share your opinions on the entries themselves, and wage your bets on the best ideas by voting for who will make it to the first round. I am delighted to be with you here today in the setting of the famous University of Nairobi. This is the third and last day of my present visit to Kenya, and I was very keen not to leave the country without visiting the University and speaking on one of the most important issues facing Africa today: the situation of the region’s youth and particularly the issue of employment. A few months ago, when the Spring Meetings of the World Bank took place in Washington, I organized a high-level round-table meeting for leaders from all over the world to come together to share views on the nature of the challenges that the youth now face, and especially on possible solutions. One of the keynote speakers at that event was a Kenyan, the late Kinuthia Murugu. He did a wonderful job in showcasing the perspective of Kenya and providing all of the participants with a better understanding of the complexity and importance of the issue. Again, I would like to express my condolences at his passing, but also thanks for the insights and inspiration that he gave to us at that historic meeting. You may be aware that Africa faces a pressing problem of youth unemployment. Steadily worsening over the years, youth unemployment on the continent is now assuming crisis proportions, particularly in the wake of the current global economic recession. But Africa cannot wait; it has to explore potential options and take action now to respond in the short-term to the impact of the global recession, while also putting in place programs to address the structural causes of the problem. Let me share a few facts that typify the African youth. Young make up 37% of the working-age population in Africa, but 60% of the unemployed. Young people are more likely to work longer hours under insecure work arrangements, characterized by low productivity and meager earnings. Females face particularly strong challenges in entering the labor force, due to early motherhood and lack of education. The face of Africa’s youth is an eighteen-and-a-half year old female, living in a rural area, with some education and literate, but not attending school. The main challenge for her is to find and sustain productive employment with a reasonable income. There are several dimensions to the problem of youth unemployment but let me focus on two. There’s a demographic dimension: Africa’s population profile is shaped like a typical pyramid – it is has a “youth bulge” at the base. Almost half of Africa’s population is under 25; about 75% is under the age of 35. It is estimated that by 2050, Africa will account for 29% of all people aged 15 to 24. This is about 348 million of the total 1.2 billion persons globally. This raises the question: will the continent be ready to accept the responsibility of managing the lives and future of a majority of the world’s youths? For Kenya, this means that economic opportunities driven by a high growth rate must outpace the increase in population currently estimated at around 2.9%. Development literature tells us that that to bend the curve of poverty you need growth of above 7% sustained over several years. Then there is a labor markets dimension. The rate at which young people find jobs depends on how prepared the labor market is to receive them, and how ready they are for the labor market. Even with high primary school enrolment with an equal number of girls and boys starting school, today primary school completion can no longer be our goal. In Kenya, out of every 100 students who start primary school, only 68 transition to secondary school; and just 6 of this group go to universities or tertiary institutions to learn the skills required to give the country an edge in an increasingly competitive world. Experience worldwide has shown that no nation has achieved a technological and socio-political advance where less than 15% of its qualified young citizens have access to tertiary education. The US has achieved over 80% access while in Europe the average is 35%. In emerging economies like South Africa and Brazil—which Kenya seeks to emulate—the percentage of access to tertiary education is 18% and 25% respectively. It is not surprising to find, therefore, that potential employers in Kenya as well as elsewhere say that our institutions aren’t graduating people with the skills they need to enhance their success. This means there is need to fundamentally address the skills gap, as well as the skill mismatch. The abilities of job-seekers are falling short of the ambitions of industry. This Africa-wide problem is also reflected in Kenya. In fact, Kenya’s youth unemployment situation is particularly serious. For instance, in the period 1998-2005, aggregate unemployment fell from 15% to 12.5%, but the share of the youth in unemployment rose from 60% to 72 %. And the rate of joblessness is almost 40% of youth, or an estimated 5.2 million young adults. This is double the adult average of 21 percent. Kenya’s vision 2030 sets an ambitious target to become a middle income country by 2030. This goal not only requires uninterrupted growth of 10% per year, but will also demand citizens with globally-competitive skills. While I have pointed out the reality of the challenge, let me now turn to the latent opportunity. If effectively managed, this “youth bulge” could become one of Africa’s drivers of economic growth, delivering significant demographic benefits—as it did in some of the Asian tiger economies. It was Churchill who said, “The pessimist sees difficulty in every opportunity. The optimist sees the opportunity in every difficulty.” Which do you want to be? We clearly need an agenda for action to address these challenges and let me propose some of its possible components. First, policy makers have a duty to build capable states with the clear purpose of not only expanding economic opportunities but also effectively and efficiently delivering basic services to citizens. This means every Kenyan shilling spent on education, health and other basic services must deliver commensurate value. Growth is best sustained by creating policy predictability as well as a political and investment climate that encourages investors to make long-term commitments, even across election cycles. These investments must be targeted at improving the human skills base of Kenya as well as providing the basic infrastructure that citizens need to thrive. Leaders must clearly communicate in word and deed that public probity will be rewarded and impunity or misuse of office, predictably, will be sanctioned. We must focus on developing micro, small and medium enterprises as a credible springboard from which to canvas for Foreign Direct Investment. International investors follow the lead of local entrepreneurs. In Kenya, as much as 20% of the value of sales is lost due to crime, insecurity, power outages, bribes and inadequate transport. These costs are higher than in other East African countries, and 6 times the comparable cost in South Africa. In addition, it is the duty of policy makers to modernize the curriculum, sponsor programs to assess and re-equip youth, so they have the skills the market will be looking for tomorrow. They must also aim for expansion of tertiary and university education, explore public private partnerships, and take advantage of technology to innovate and expand education beyond their walls. The foundation of all of this is the commitment of government to build consensus on how to tackle what I have been told are the two chief enemies facing the country’s development: poverty and corruption. In this regard, the ongoing discussions under “Agenda IV” of the Kenya National Dialogue and Reconciliation Framework that looks at long-term issues including national cohesion, land and institutional reform, a new constitution, and youth unemployment, provides a veritable platform for building this common understanding. While there are challenges, Kenya also has proven potentials. It has a dynamic private sector, a vibrant civil society; it is making its mark on the global stage in mobile technology innovation and it is strong in the service sector. The ingredients for a rebound are in place. But success will also require managing the risks and establishing strong systems of social accountability. Second, our communities must get involved. Our schools and colleges are fertile soils: we can choose to sow the seeds of our future success or let them become swamps of neglect. We all need to be part of the solution; this is not just the government’s problem; if we bury our heads in the sand, it will soon become our problem. Third, I have a message to the youth. Your generation must realize you are living on the cusp of a revolution. Just like those who saw the dawn of the agricultural or industrial revolution, you who are living in this unique moment of history must learn how to leverage ICT. Use this platform not just to update your Facebook page but to close the knowledge gap since access to ICT equalizes people of all cultures. The biggest change that you need to make is in your mindset; shifting from that of job seekers to job creators; from writing good bios to writing great business plans. It also means transitioning from being provincial to thinking regionally and yes, even globally; from waiting for change to becoming the drivers of change. Roosevelt equated a life of ignoble ease to that of “peace that springs merely from the lack either of desire or of power to strive after great things”. As you strive towards bringing about change, your citizenship of Kenya should be a constant reminder of the divine call you all must have to sacrificial service to your nation. It must also be a reminder that character is after all the destiny of individuals, families, communities, firms, organizations, and nations; and service that prioritizes personal benefit above the common good is contemptible and ignoble. You have all you need within you to create the Kenya of your dreams. A new Kenya – known for its world class citizens. That, my dear young people of Kenya, is your destiny. And remember, Character is Destiny. Thanks for reading and I trust that this article will be helpful for your intended purpose. Kindly let me know when you need further assistance as I look forward to your good comments or questions. All the best!